Sometimes kids just really want to chew on a keyboard and Lotte has the perfect solution. 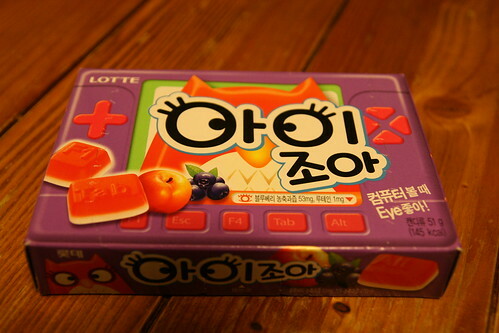 Featuring all your favourite keys, 아이조아, is a delicious blueberry and apple flavour treat for the geekiest of sweet lovers. Fancy sucking on an escape button? Have a hankering for a taste of F1 or F4? Not to mention a delicious alt or tab key! 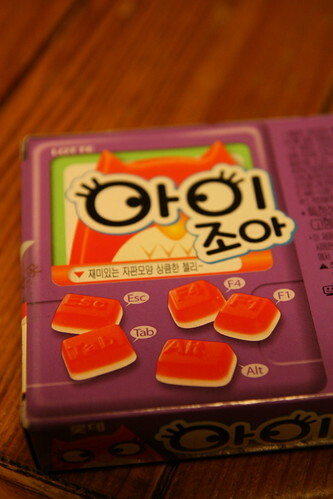 1,000 won buys you your own jelly keyboard substitute. Thank you Lotte for serving the computer addicted candy consuming masses. Where did you buy it? I've never seen them before but I guess I've never looked either. 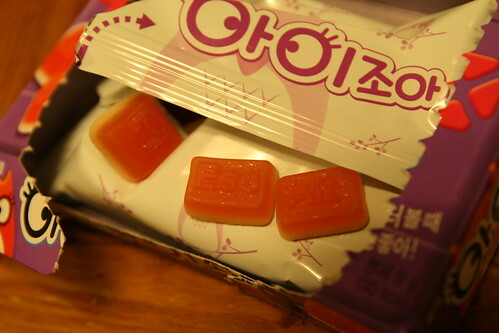 I got them from a convenience store near Yangjae station. I've only ever seen them there, so I'm not sure how widespread or how popular edible keys may be.